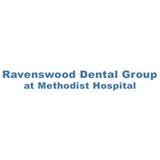 Ravenswood Dental Group (Chicago) - Book Appointment Online! Welcome to Ravenswood Dental and the expertise of Dr. Henry Lotsof, DDS and his talented team. The dental professionals at Ravenswood Dental are passionate about helping you achieve and maintain your oral health by combining treatment, education and prevention. We believe in empowering our patients to take control of their own health by making you an active partner in your health, which is why the Ravenswood Dental website is loaded with valuable information about dentistry and treatments. We encourage you to visit this site whenever you have questions or concerns about your teeth. We are committed to making our practice convenient and accessible for you and we want you to feel confident that when you choose Henry Lotsof, DDS, you're working with dentists and other professionals who are qualified, experienced and caring. Been going to Dr. Lotsof for nearly 15 years, and have always been treated very well whether its a routine check up or work needing to be done, I trust the Doctor with my care and making sure the work is done with absolute precision and care.